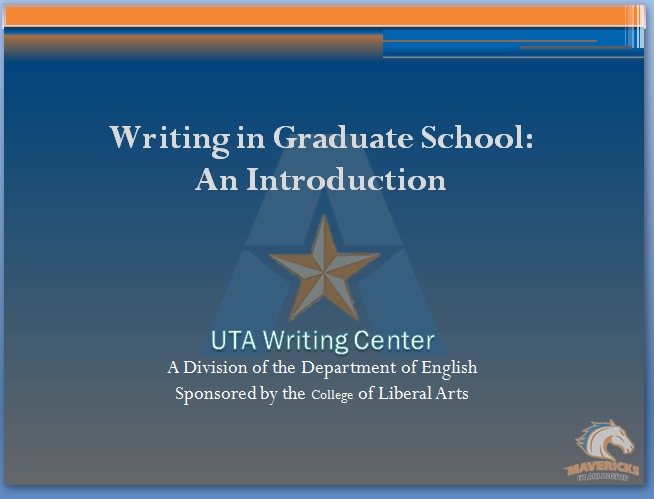 The Writing Center provides the workshops below to help guide graduate students through the demands of writing at the graduate level. 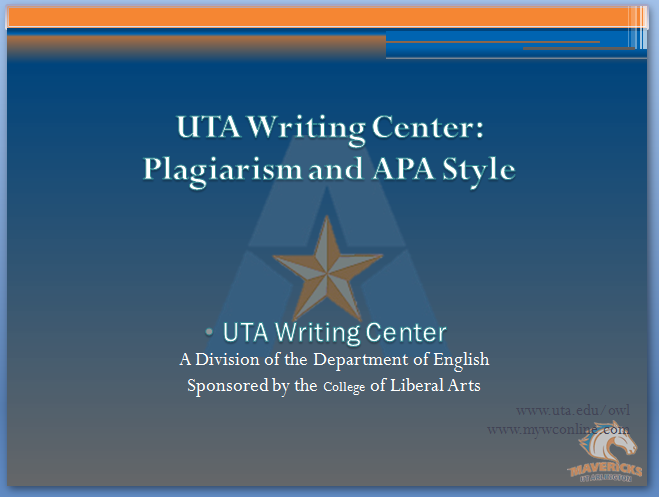 In order to sign up for workshops, students must register with the Writing Center at http://uta.mywconline.com/. Workshops are listed on the regular appointment schedule. If you experience any difficulty signing up for any of these, please call (817)272-2601 and one of our staff will be happy to assist. 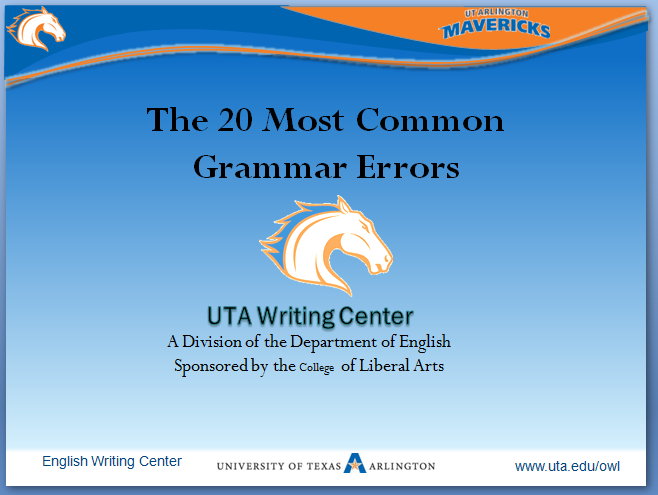 All Workshops hosted by the Writing Center are held in 411 Central Library and are offered at 6 p.m. on Mondays, Tuesdays, Wednesdays or Thursdays. These are not recorded and are not available online. Abstracts: Abstracts are an important part of scholarly work. 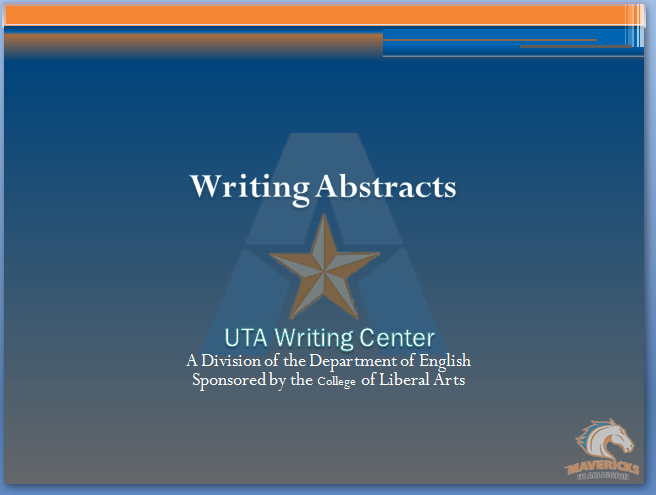 Well written abstracts are a necessity for publishing and conferencing. This workshop will assist scholars in better understanding how to distill a much larger work into a concise abstract. 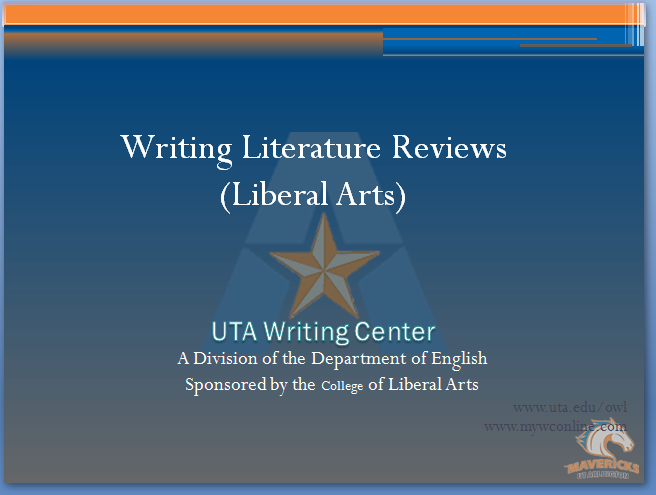 Literature Reviews (Arts): The “literature” of a literature review refers to any collection of materials on a topic. A review does not necessarily mean that your reader wants you to give your personal opinion on whether or not you liked these sources. This workshop will examine the criteria for literature reviews in various disciplines, with a focus on the liberal arts, and in different writing assignments. Participants are encouraged to bring a sample literature review they have written and/or sources that can be used to begin writing an effective literature review. Literature Reviews (Science and Technology): The “literature” of a literature review refers to any collection of materials on a topic. A review does not necessarily mean that your reader wants you to give your personal opinion on whether or not you liked these sources. This workshop will examine the criteria for literature reviews in various disciplines, with a focus on science and technology, and in different writing assignments. 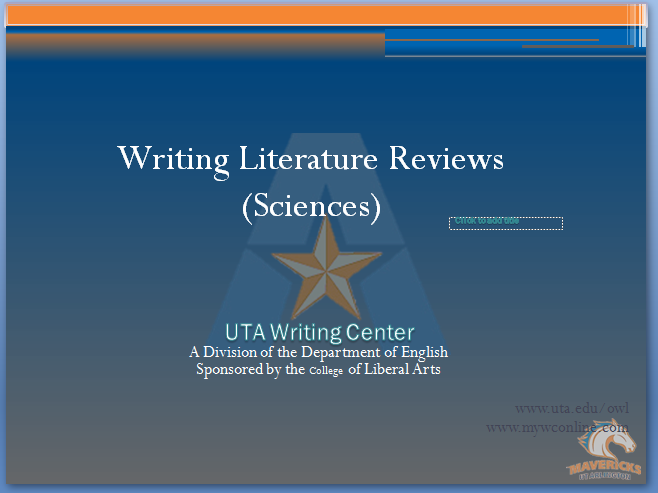 Participants are encouraged to bring a sample literature review they have written and/or sources that can be used to begin writing an effective literature review. 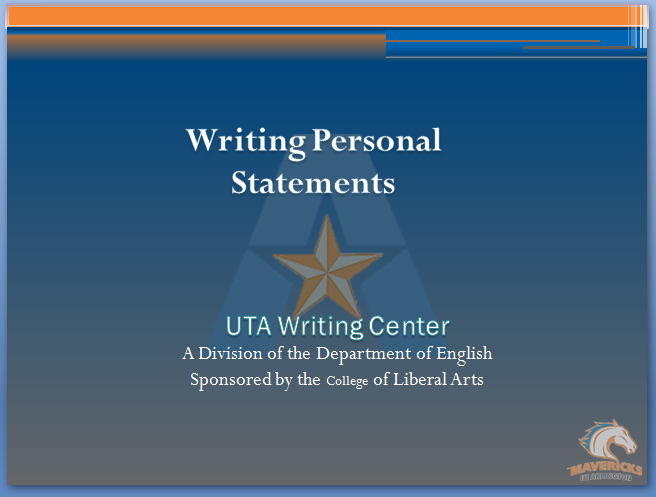 Personal Statements: Personal statements are required in a variety of academic and professional settings, from applying to graduate school to seeking a research grant. This workshop reviews the standard structure of these documents. 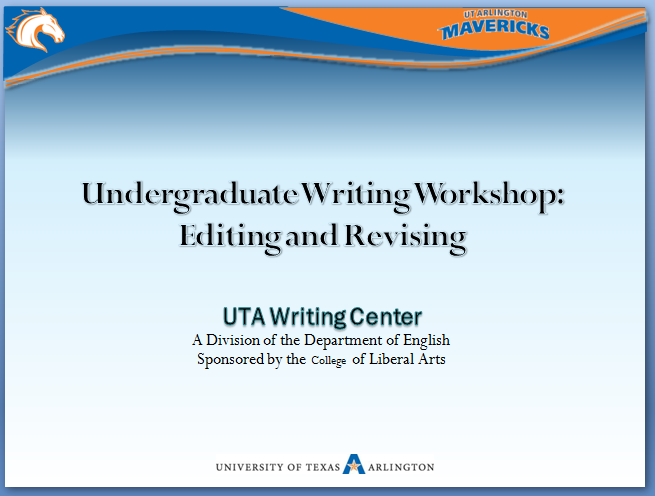 If you would like to offer suggestions for additional Graduate Student Workshops, please email us at clought@uta.edu.